Amazon Music Unlimited vs. Prime Music: What’s the Difference? When comparing streaming music services such as Spotify, Apple Music, and Google Play Music, most people don’t think of Amazon. But the online giant has two different options to choose from: Amazon Prime Music and Amazon Music Unlimited. 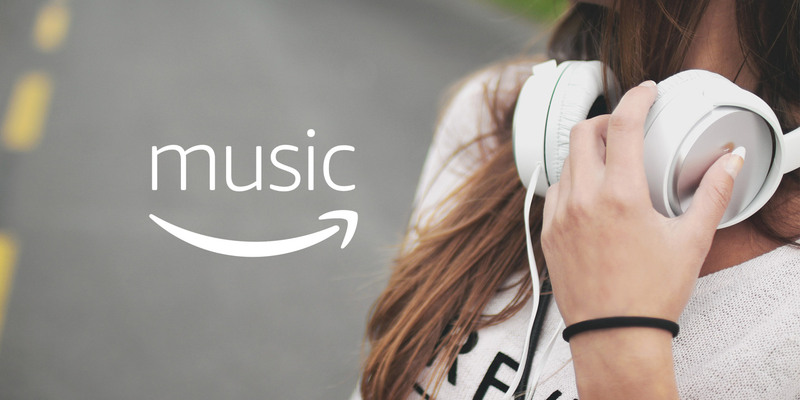 In this article, we take an in-depth look at both Amazon Prime Music and Amazon Music Unlimited to help you determine which one is right for you. The most notable difference between the two services, outside of price, is the number of songs available. Amazon Prime Music boasts more than 2 million songs compared to the “tens of millions” of tracks available on Amazon Music Unlimited. For comparison, Spotify features more than 30 million tracks. So that’s a substantial difference to take notice of, especially if you’re a fan of more obscure music and artists. Both Music Unlimited and Prime Music allow for unlimited skips and the ability to download songs to an app for offline listening. The services are also free of any advertisements. What Does Amazon Music Unlimited Cost? New listeners can take advantage of a 30-day free trial for Amazon Music Unlimited. After that, the most affordable plan costs $ 3.99/month. But don’t get too excited just yet—that plan only gives you access to the service on one Alexa-enabled device like the Echo, Echo Dot, or Echo Spot. If you’re considering buying an Echo device, find out which Amazon Echo device is best for you. If you’re a college or university student, there’s another way to subscribe for less: the discounted student plan costs $ 4.99/month and features all of the perks of a regular subscription. You will, however, need to verify enrollment in a degree-granting college or university to nab that option. For Amazon Prime members, a regular Amazon Music Unlimited subscription costs $ 7.99/month or $ 79/year. If you’re not an Amazon Prime member, the standard price is $ 9.99/month. For multiple users, there is also a family plan that costs $ 14.99/month for up to six shared members. Amazon Prime members have the option to pay $ 149/year for the family plan. On the other hand, Amazon Prime Music is free for all Amazon Prime subscribers. Take a look at our primer to decide which one of the Amazon Prime payment options will work best for you. If you’re already an Amazon Prime member, the biggest factor in deciding whether to pay more for Amazon Music Unlimited is whether Amazon Prime Music’s small selection of music is enough for you. Like Amazon Prime Music, you can access Amazon Music Unlimited through a web player or downloaded app. 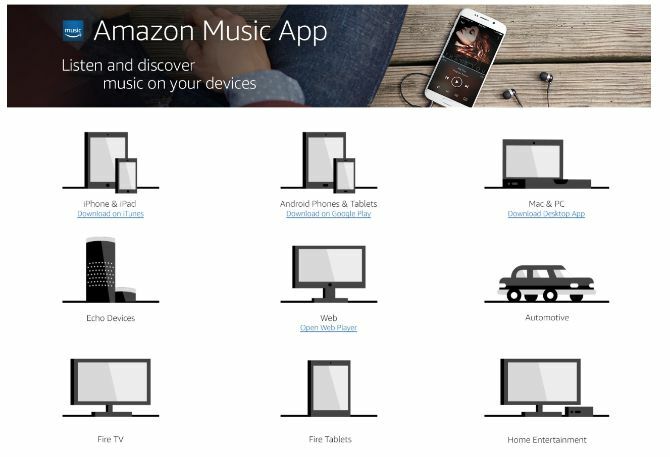 The Amazon Music app is available for just about every platform you can imagine, from an iPhone to your car. Unfortunately, one of the biggest downsides for users is that the web player and PC/Mac apps aren’t as polished as the clients from more well-known streaming services. It might take some work to find what you’re looking for, and you’ll need to put in a little more effort than you do with Spotify or Apple Music, but they work. Eventually. As you might expect, with tens of millions of songs available, the music selection is significantly better on Amazon Music Unlimited than it is on Amazon Prime Music. When comparing the two options, I found many more of the classic and modern artists I enjoy listening to on Amazon Music Unlimited. While there are a lot of great choices on Amazon Prime Music, the difference between the two is pretty obvious. But the availability of your favorite music may be different depending on your own tastes. That’s a big reason you should take advantage of the 30-day free trial for Amazon Music Unlimited before making a commitment with your wallet. Is Amazon Music Unlimited Worth Paying For? The biggest question for most music fans is whether or not Amazon Music Unlimited is worth paying money for, especially when Amazon Prime Music is one of the overlooked perks of being an Amazon Prime member. Obviously, it depends on whether you’re happy with the two million songs currently offered by Amazon Prime Music. To be fair to Amazon, that’s a huge number of songs. Whether your musical tastes are well represented, however, will depend a great deal on which genres and artists you like. If you have wide-ranging tastes, listen to a lot of music, or just aren’t satisfied with the selection offered by Amazon Prime Music, the monthly fee to upgrade to Amazon Music Unlimited is probably worth it. That’s unless you already use, and are happy with, other options like Spotify, Apple Music, or Google Play Music. If you’re new to the world of Amazon and are wondering whether an Amazon Prime subscription is worth the money, we’ll help you decide with our comprehensive primer for Amazon Prime. Read the full article: Amazon Music Unlimited vs. Prime Music: What’s the Difference?